If you are considering buying a property abroad you should make sure you take specialist mortgage advice. 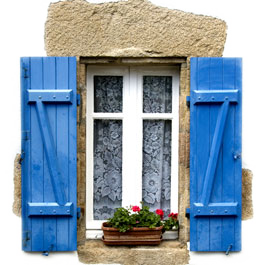 The house buying process varies considerably from country to country, with different legal systems and local customs. For most people the best option is to arrange your overseas mortgage in the currency you are earn income in. If however you are planning to receive rental income from your property in the local currency then a mortgage in the local currency may be the better option, depending on the mortgage lender’s criteria. If you already have a residential property in the UK you may be able to raise money for a deposit by remortgaging and releasing equity from this property. You should always seek specialist advice from independent solicitors, architects and surveyors before committing to purchasing a property overseas. They should know the country’s laws and the local house buying process. You should always arrange an independent valuation of the property. The valuation will highlight any problems with the property itself but also, and very importantly, any boundary disputes. You should never sign a contract that you do not understand. This includes translated contracts – always get the original contract checked by a specialist.